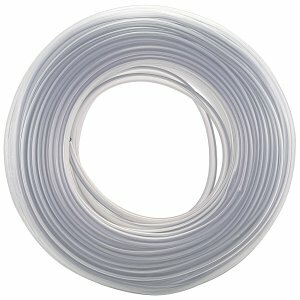 Filter hoses used in an aquascape ought to be as inconspicuous as possible, and they should connect with glassware products like Lily Pipes easily. Crystal-clear flexible hoses like those made by Aqua Design Amano (ADA) have a perfect fit with your glassware accessories and cling to them smoothly and securely. Due to their high flexibility these hoses are easy to install and hardly ever form kinks. Crystal-clear hoses are also attractive when combined with stainless steel filter accessories. 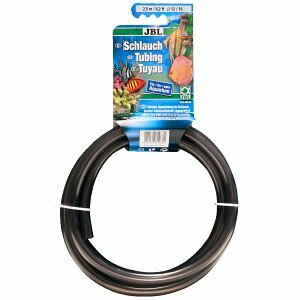 In this category of our webshop you can buy the right hose for the external filter of your aquarium. Especially aquascaping projects are often realized with transparent Lily Pipes and transparent hoses, effectively turning all filter equipment inside the tank virtually invisible. In aquaristics, the diameters 9/12, 12/16 and 16/22 mm are standard for filter hoses. Also filter inlets and filter outlets made of stainless steel or plastic can be upgraded with transparent hoses. You can find all common sizes of hoses in transparent design from well-known manufacturers such as ADA or Borneo Wild in our webshop. As a rule, no troublesome batch numbers or the like are printed on the hoses. 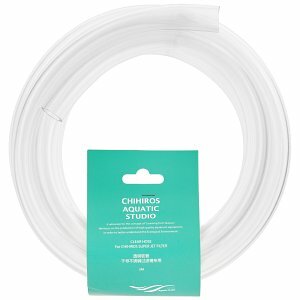 The companies Chihiros and ADA offer particularly soft filter hoses. These are particularly flexible and can be easily put over the glassware. The products by manufacturer Borneo Wild are much more dimensionally stable and stronger. As a result, their hoses do not kink easily and are easy to clean. 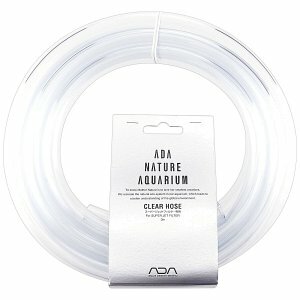 You want to upgrade your aquarium with transparent hoses and glass Lily Pipes but are unsure about the diameters needed? We'll answer all your questions in our article Hose diameters & glassware in the Aquascaping Wiki. In there you'll also find more tips and tricks for mounting and dismounting of filter hoses on and off glass filter tubes.